Creating a single space out of two separate rooms – a WC and a bathroom – seems to be the most rational way out when we’re dissatisfied with the size of both. If you already thought about this, but still don’t dare to start the alterations, this post is just for you. We have 5 nice examples of combos with comments! 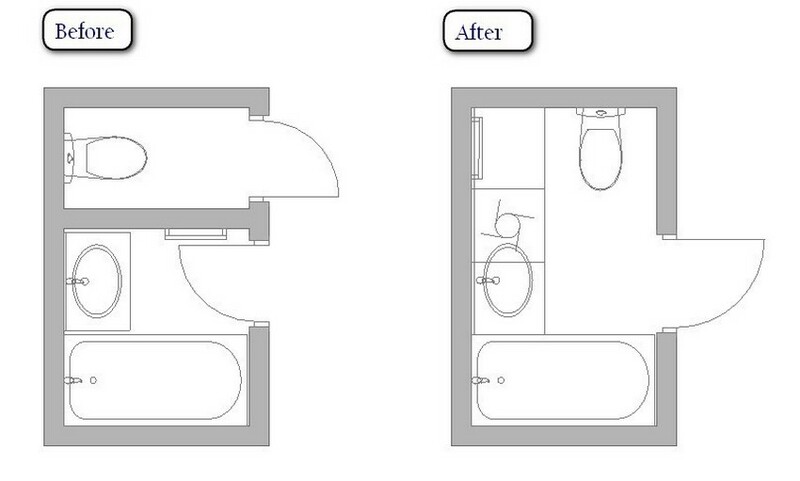 In altering this bathroom the architect managed to remove an old small bath with the length of just 150 cm. Once the wall between the two rooms had been demolished, it became possible to shift the door. Thanks to this trick, a bigger 170-cm-long bathtub could be installed along the wall. On entering the room the first thing you see is the wash basin cabinet. While the water closet is located in a place that is less conspicuous. And thanks to built-in installation of the bowl, the wash basin cabinet doesn’t protrude. In this case the demolition of the wall gave room for a long countertop with a washing machine underneath. Besides, the door was re-installed: now it opens outwards, which allowed for utilization of useful space that was previously occupied by the opening door. One of the main features of WC-and-bathroom combos is the aesthetics. A water closet located right opposite the door is not the best idea – it should be better arranged out of sight. By demolishing the wall between the toilet and the bathroom, the architects managed to fit in a washing machine and replace a short 150-cm-long bathtub with a 170-cm-long one, which is a more convenient option for a family with small kids. 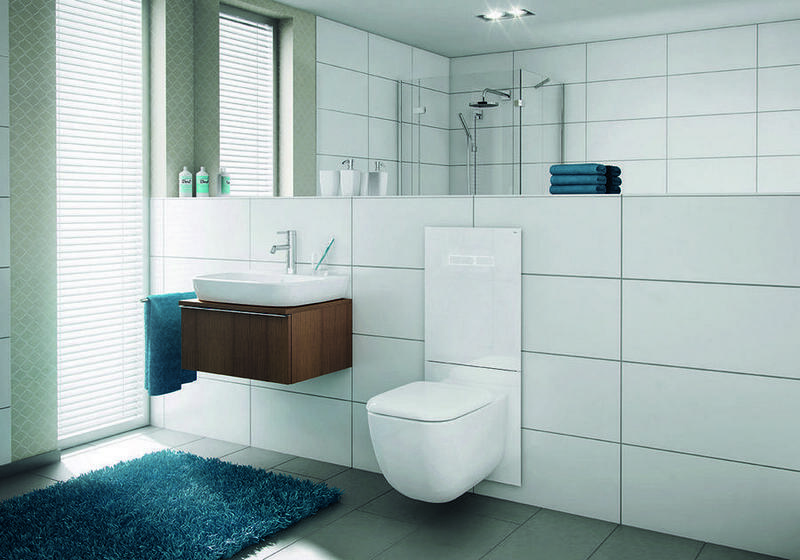 Depending on the family composition and personal preferences, bathroom equipment can be interchangeable. For instance, for young spouses a full-fledged shower can take precedence over a bathtub. In this very case the choice was set upon a shower. A water closet was shifted to another place, so that it was not visible on entering the room. An extra wash basin cabinet proves to be a very good choice for spouses who get ready for work in the morning simultaneously. Besides, there was enough room to put a washing machine under the countertop. A few square meters can be reclaimed for more rational use only by means of eliminating one door. Its place is now occupied by a washing machine and a tumble dryer. Just like in the previous example, in this project a bath was replaced with a shower cabin. And on entering the room one sees a wash basin, while the water closet is hidden behind a partition.